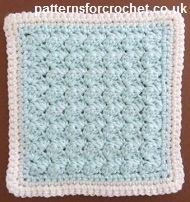 I have not put specific colours for each square, you can do them in your own colour choice, either in one colour or with a different shade for the border. * rpt from * to * to last 3ch, miss 2ch, 1dc into last ch. 2ch, miss last 2tr, 1dc into top of 2ch. Turn. each dc to end. Turn. Repeat Pattern Row until 22 rows have been worked in all. Turn. 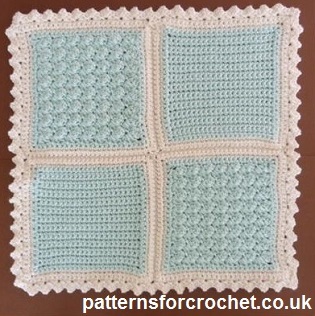 Finishing - With 4.50mm hook, ss squares together by working through centre loops (one from each motif, see picture below) use motifs for various projects i.e. 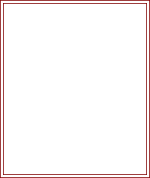 placemats, blankets etc. Sew in and tie off any loose ends. Once you have made and ss together as many squares as you need for your project, join yarn to a corner and with 4.00mm hook work 1ch, 2dc into base of 1ch, 1dc into each dc around all four sides, working 3dc into corners, 1dc into base of 1ch, ss to first dc on beginning of row. Turn. Next Row - 1ch, (2dc, 2ch, 2dc) into base of 1ch, * miss 2dc, (2dc, 2ch, 2dc) into next dc, * rpt from * to * to last 2dc, miss last 2dc, ss to first dc on beginning of row. Fasten off. 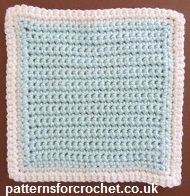 Hope you enjoy these Two 5 Inch Square Motif free crochet patterns.